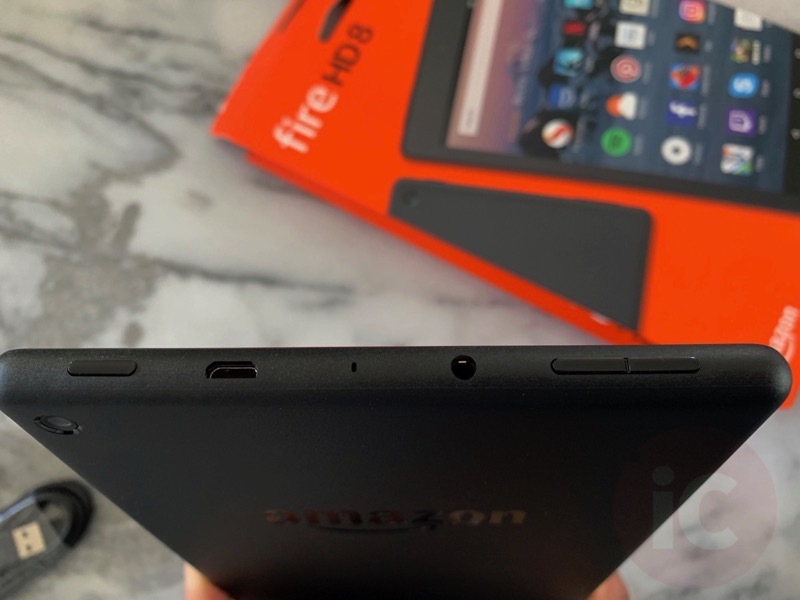 Last month, Amazon launched an all-new eighth generation Fire HD 8 tablet in Canada, priced at $99.99. At this price point, the tablet is ultra affordable when compared to Apple’s iPad—but how does it compare? Amazon sent out the Fire HD 8 to test out, and we’ve been playing with it on and off for the past month. Here are some quick thoughts on our experiences with this light tablet with 8-inch HD screen. With my iPad (our preschooler has magically taken ownership of it over the years, WTF! ), I primarily used it as a consumption device for watching YouTube, Netflix, iMessage, checking email, surfing the web and stuff like that. The Fire HD 8 is fairly light at 363 grams and the build quality is not like an iPad. The backside is made of plastic, along with the power and volume buttons. You do get a micro USB port for charging and a 3.5mm stereo headphone jack. The 8-inch display with its 1280 x 800 resolution at 189 ppi and in-plane switching and polarizing filter is not as good when compared to Apple’s Retina standard on an iPad (9.7-inch). You’ll notice pixels immediately, but at an arm’s length, it’s passable. Colour appear slightly muted and could be more vivid, but at night when you’re consumed in a movie or TV show, you won’t really notice. The Fire HD 8 has a quad core 1.3 GHz process and 1.5GB of RAM, and for opening and closing apps, it was just fine. There’s a micro SD slot to let you expand storage up to 400GB (I did not test this). As a video device, streaming Prime Video and Netflix was pretty decent and usable. The stereo speakers with Dolby Audio are located on the bottom of the device (in landscape) and are good. The placement doesn’t get in the way of you holding the sides of the Fire HD 8 in landscape. With Bluetooth, I was easily able to connect my Apple AirPods for viewing at night. As the Fire HD 8 runs a fork of Android, there are virtual buttons for back and home. You have the pre-installed Silk browser for viewing the web, plus all of Amazon’s apps such as Books, Photos, Games, Goodreads and more. 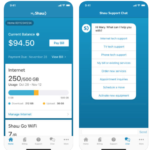 As for battery life, Amazon says “Up to 10 hours of reading, surfing the web, watching video, and listening to music.” Standby time could use some improvement, as after a day or so I found the battery drain went much faster than anticipated. Many times I went to pick up the Fire 8 HD, only to find it completely dead and requiring a recharge. Overall, watching videos on the Fire HD 8 was decent, but the display could use some improvement, since I’ve been spoiled with Apple’s Retina standard on an iPad. 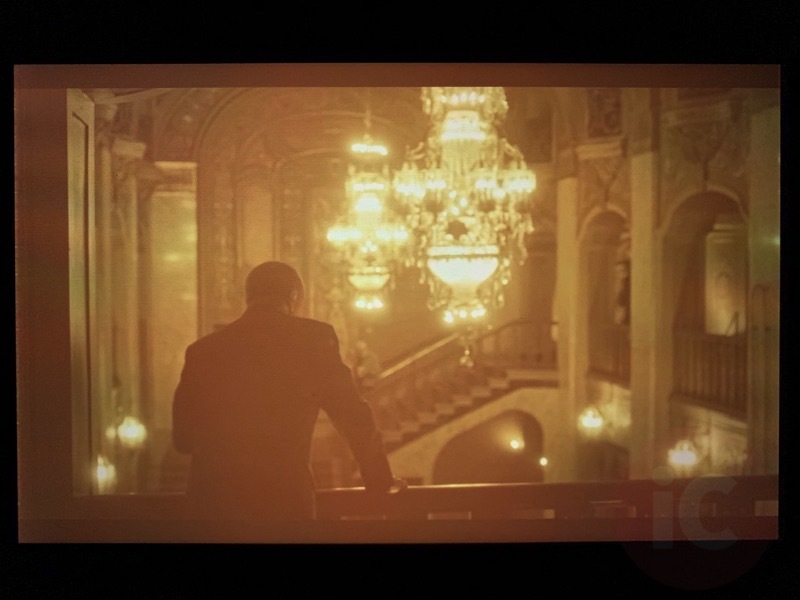 Since there’s no iMessage, there are no distractions or temptations when watching videos. 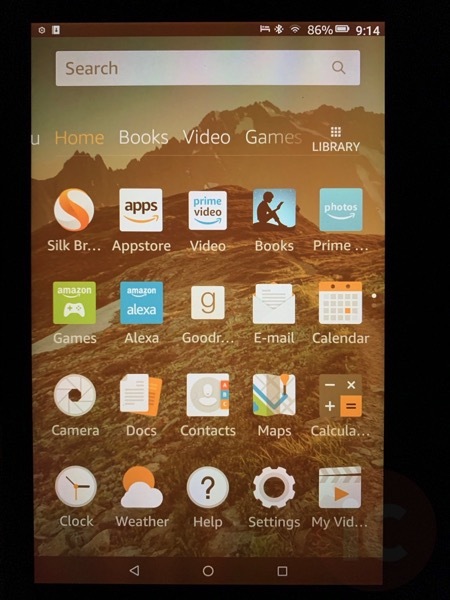 The speakers are relatively good and you’ll have access to Netflix and Prime Video, but it does take some time to get used to the Android operating system. For those who have used an iPad or spent lots of time with Retina displays, the Fire 8 HD may feel like a step backwards. Again, ignorance is bliss and if this was my first tablet, it does offer options, including a 2MP rear and front camera, plus the ability to record 720P video. 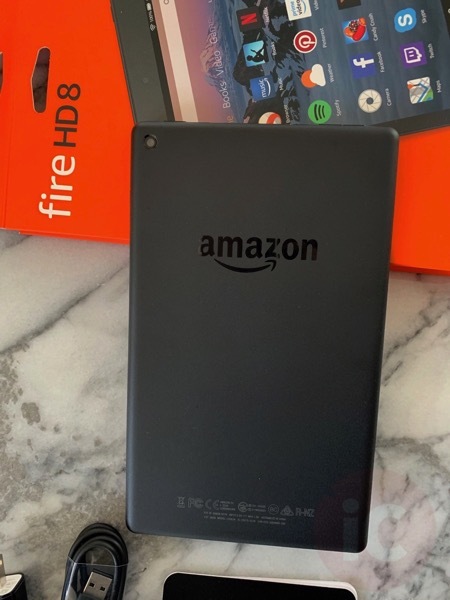 The Fire HD 8 would make a great first tablet for a kid as a media device, as for $99.99 it’s a bargain (and it may well go cheaper during Black Friday) in 2018 (have you seen Apple’s prices lately?). 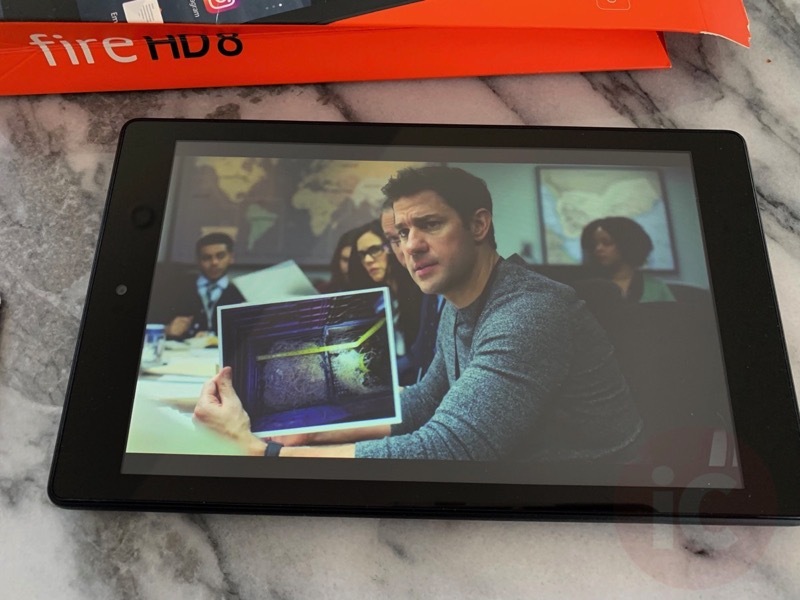 For people who have never used an iPad and need an affordable tablet to access videos and the web, the Fire 8 HD can make it happen (there’s also the Fire 7 at $59.99) at an impulse price. If you don’t have super high expectations, the Fire HD 8 may be worth it. 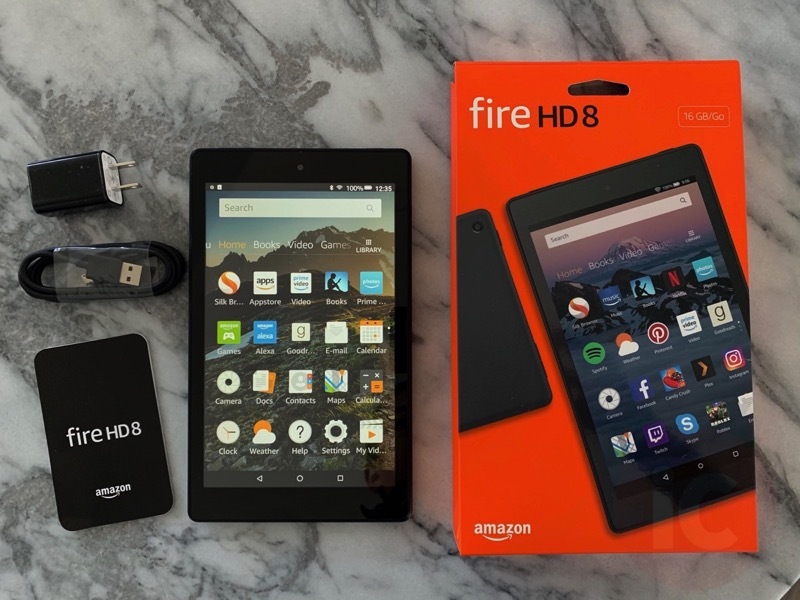 Click here to check out the Fire HD 8 on Amazon—it costs $99.99 for the 16GB model.